Why is My Toenail Yellow? Fungal nails is an unsightly infection of the nails. Your nail will be thickened, brittle, yellow, discolored and sometimes even painful. The major cause of this infection is from the funguses thriving in a warm, moist, dark environment, such as our shoes, socks, and stockings. These funguses grow in the nail bed, beneath your nails, and live off Keratin, the protein in the nail. Other contributing factors would be excessive perspiration, and Athlete's Foot, which is caused by similar fungi. Anyone who has medical conditions such as diabetes and poor circulation and HIV, are more susceptible to infection and re-infection. 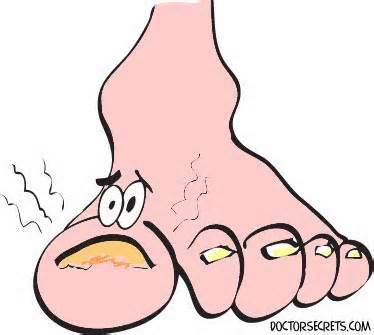 With this type of infection, it is extremely important to see a podiatrist right away. The infection can spread quickly to your surrounding nails and can become more painful. Call our office today to visit one of our podiatrists!